Heroes, Heroines, and History: The Moravian Church and ... Moravian Sugar Cake! The Moravian Church and ... Moravian Sugar Cake! When my French Huguenot ancestors came to this country in 1737 after fleeing religious persecution in France, the freedom to practice their religion was of the highest priority. Louisa Clavell landed in Philadelphia, a widow with two sons, after her husband was washed overboard on the ocean voyage from Amsterdam, Holland. He had all of their money in his possession when he was lost at sea. 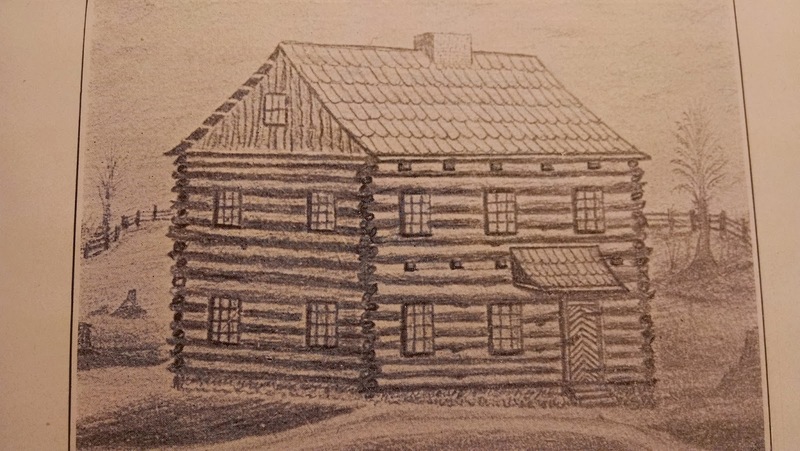 After acquiring a planter and a button maker to take her sons as apprentices, Madame Clavell followed her fellow passengers into the Schuylkill Valley of Pennsylvania and eventually remarried. Her sons joined her after serving their appointed times and acquired land in that beautiful valley. Some 17 years later, in 1754, after initially coming to this country, a number of settlers in the area where they settled, Bushkill County, sent a petition to Synod of the Brethren, or Moravians, asking that organization to send a minister to them who could preach the "Gospel of Jesus Christ to them pure and unadulterated like the Apostles of old." Several men, including my direct ancestors, Franz Clewell and George Clewell signed the petition. The Moravians did so, and the gospel was well received in the area, culminating in the building of a church building in 1762. It is not surprising that the Clavells were attracted to the Moravian Church as their basic tenets were similar to the French Huguenot beliefs for which their fellow believers had lost their lives in France - justification by grace alone through faith. On a research trip to Pennsylvania for the last book in my series about my ancestors, we were able to go to a reunion of the Clavell family, The traditions of the family are cherished and carefully preserved. That I have a copy of the genealogy of the family is a miracle in itself as I was not even aware of this rich heritage until I started researching for the series. I could go on and on about the history of the Clavells and the Moravian Church in this area of Pennsylvania. Our trip was absolutely glorious and I read every tidbit I could find and took hundreds of pictures. My husband was very patient! But one thing I brought back and have enjoyed so much was a recipe for Moravian Sugar Cake. At the reunion the buffet was full of several different varieties of the signature dish. I could have eaten my weight in it. It is a cross between yeast bread and cake. Here is the recipe I've enjoyed. And I hope you will too. 1 large or 2 small potatoes, boiled, peeled and mashed. Or you can use instant potatoes or leftover mashed potatoes. 2. Place 1/2 cup hot mashed potatoes in a large bowl. Add shortening and sugar and combine. Add beaten eggs and combine. Set aside. 3. In a separate medium bowl. dissolve yeast in lukewarm potato water. Add sifted flour and salt and combine. Mix yeast mixture into potato mixture. It will resemble bread dough. Place batter in large bowl, cover with a damp cloth and let rise in a warm place until doubled in bulk, 20-30 minutes. 4. Pat dough out in prepared pans to 1/2" thick. Cover with damp cloth and let rise again in a warm place for one hour. 6. Make indentations in dough with a wooden spoon handle or your finger about every inch and a half or so. (I use my fingers :) and fill the holes with the melted butter. Crumble a generous amount of brown sugar over the top and sprinkle with cinnamon. Bake for 20 minutes or until a toothpick inserted comes out clean. Great as a dessert or with coffee in the morning. Enjoy! Do you have a family recipe that dates back to your ancestors? 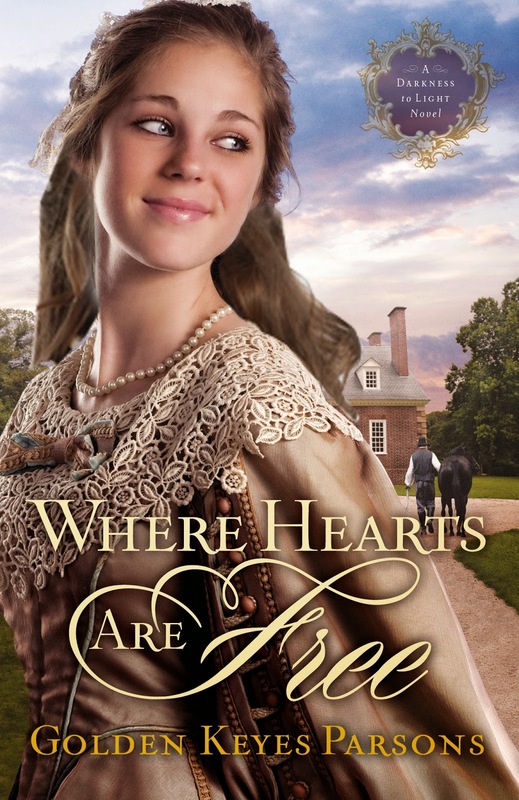 Share for a chance to win a copy of my book, Where Hearts Are Free, which loosely follows the story of the Clavells as they settled in Pennsylvania. Note: If you want to be entered in the drawing for the book, you MUST INCLUDE YOUR EMAIL ADDRESS! I love your background! My family is from Pennsylvania, too. One of their recipes was shoo fly pie. Ah, yes, I remember shoo fly pie, from my Mom. But I've never made it. What part of PA? I've heard of, but never had the pleasure of eating Swedish pancakes. Best wishes in the drawing! Glad you shared your special recipe with someone! My Mom made potato candy, which was a nougat type candy frosted with chocolate. love that recipe.. we always add some mashed potatoes to our homemade bread.. Enjoyed todays blog! Yes, love potato bread and rolls! I do not have any ancestors recipes, but I would have been thrilled if I did. I hope you do make one. I love to divide the recipe into a couple of pans and freeze one. It's a great Sunday morning special treat. How wonderful that you know this rich and moving family history! We didn't know anything about family history until one of my grown nieces took on the project. Mother always said "I was found under a rock." So no family recipes beyond my mother's. Fascinating history. Loved learning from your blog post! Stephanie, I didn't know my heritage until I found the genealogy account. I'm not sure my mother did either. I didn't even know we were French. Never heard my mom mention it. I thank God for this rich spiritual heritage. This was fun for me. Hope you'll try the sugar cake!